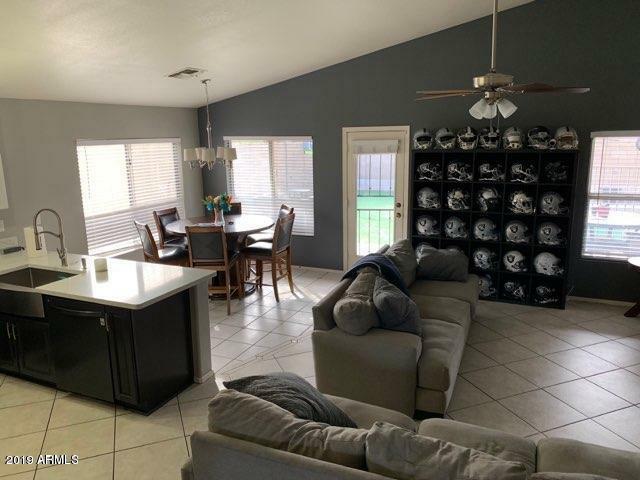 All DAVE BROWN MILLETT RANCH homes currently listed for sale in Gilbert as of 04/19/2019 are shown below. You can change the search criteria at any time by pressing the 'Change Search' button below. "Located just a couple miles south of downtown Gilbert, this property is at the heart of it all. This 1800 sq. ft. home has 3 bedrooms & 2 bathrooms and comes with a new and modern kitchen. The kitchen includes quartz countertops, stainless steel appliances and even a large farm skin. The spacious master bedroom suite opens to a large seating area and on-suite with large soaking tub, dual sinks and walk in closet. The backyard is an oasis with sparking gated-pool, misting system and maintenance-f"